I’ve decided to draw every single day for 365 days straight. This article from The Washington Post inspired me. Want to join me? You don’t have to draw; you could commit to doing something else. I started on Monday, December 7, and I’ve already missed one day, but I’ve also created seven pages of drawings I would not have otherwise. And, look at this! 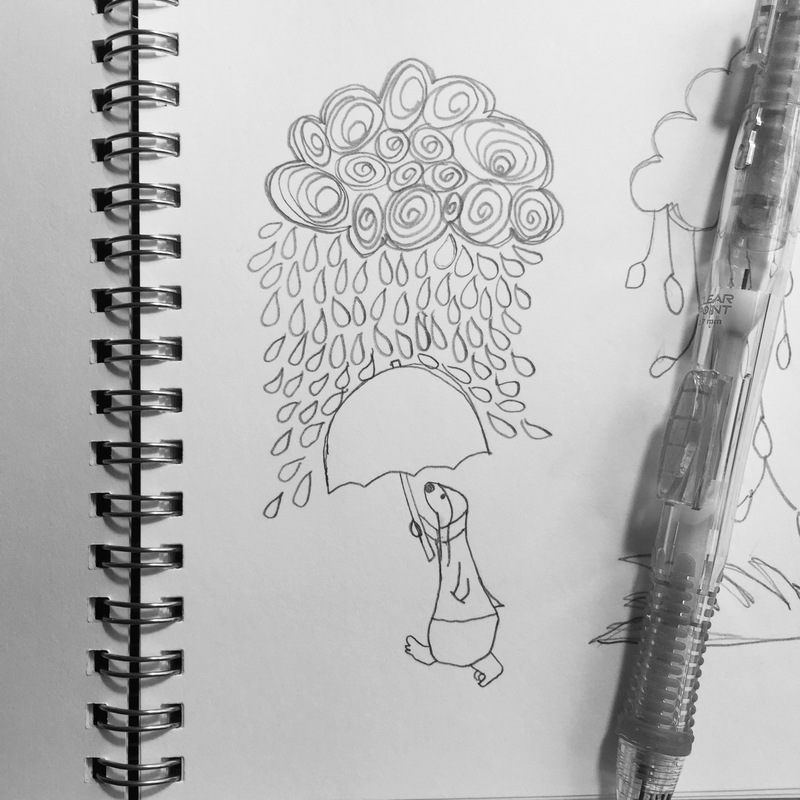 I sat down to draw a rain cloud and this little guy appeared. I don’t know what he is, but I adore him! Draw (or whatever you choose to do) every, single day. Doesn’t matter what I draw or how long or how well; I just have to do it. If I miss a day, I get right back on track the very next day. There is no working ahead; this isn’t for cute Instagram pictures but for forcing art into every day of daily life until it’s as much a part of my routine as the dishes and laundry. I have to report on occasion to stay accountable. I’ll use this blog and my Carrot Condo Instagram account and the hashtag #365daysofpractice because it doesn’t look like anyone’s using this so we can find each other easily, and because practice in order to develop a healthy habit and further transform into the people we want to be is what this is all about. You can start whenever you want. Will you let me know if you decide to do it? I’m deeply curious about what you’ll take on for 365 days, and we can encourage each other to keep going when it gets tough. 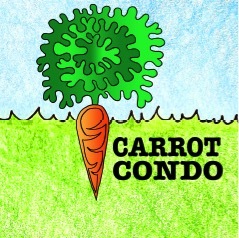 You can post a comment here, you can email me (trista AT carrot condo DOT com), or you can message me in Instagram (link is to your right if you’re on a laptop; at the very bottom if you’re on a iPad/iPhone). The more of us engaging in something thoughtful every day, the better, right? Good luck!